The most anticipated weekend for NHL prospects officially came to a close this past Saturday, June 23 in Dallas, TX. 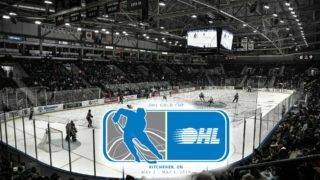 A pair of Steelheads, Ryan McLeod and Jacob Ingham, found their NHL homes with the Edmonton Oilers and Los Angeles Kings respectively. 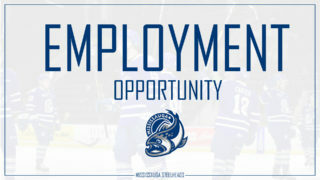 On day two of the NHL Entry Draft, with the 40th overall selection, the Edmonton Oilers chose the speedy centreman Ryan McLeod who recorded a total of 70 points (26 goals and 44 assists) in 68 games last season with the Steelheads. The Mississauga, ON native commented that despite growing up in Ontario, his favourite player was Ryan Smyth, so he’s always been a huge Oilers fan. Reflecting on his draft experience, McLeod acknowledged that attending the 2016 draft with big brother Michael allowed him to get a feel for the process and helped him prepare for this opportunity. McLeod is looking forward to getting things going in Edmonton but says he has somethings to work on to get to the next level. “I like to play with speed and take guys wide and use it to my advantage, but I want to score more and put the puck in the net every night. I want to be more offensive,” said McLeod. Edmonton’s development camp will take place this week, June 25-28. Next up, 6’4” goaltender and Barrie, ON native Jacob Ingham would hear his name called in the sixth round (175th overall) by the LA Kings. 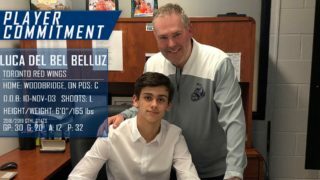 He was ranked 13th among North American goaltenders by NHL Central Scouting heading into the draft and was the first OHL goalie to be selected this weekend. 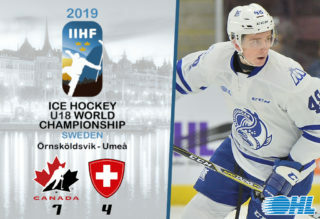 Ingham took some time to thank all his coaches and agents on helping him get to this point, adding the honour to be drafted by the Kings is due to the support of his family for all the sacrifices made along the way. The Kings’ development camp is set for June 26-29. The excitement continued after the draft as well, as Steelheads forward, Michael Little was invited to the Nashville Predators’ development camp, taking place this week June 25-29 in Nashville, TN. The Mississauga native finished the 2017-18 regular season with 28 points (14 goals, 14 assists) in 65 games played. 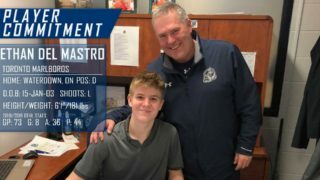 Steelheads’ goaltender, Emanuel Vella also received an invite and is attending the New York Islanders’ development camp which kicked off today at the Northwell Health Ice Center. 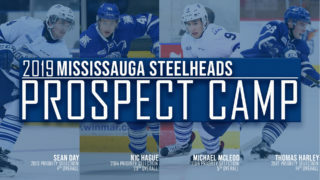 The Steelheads would like to congratulate Ryan, Jacob, Michael and Emanuel on their accomplishments, and wish them luck at their respective NHL development camps.